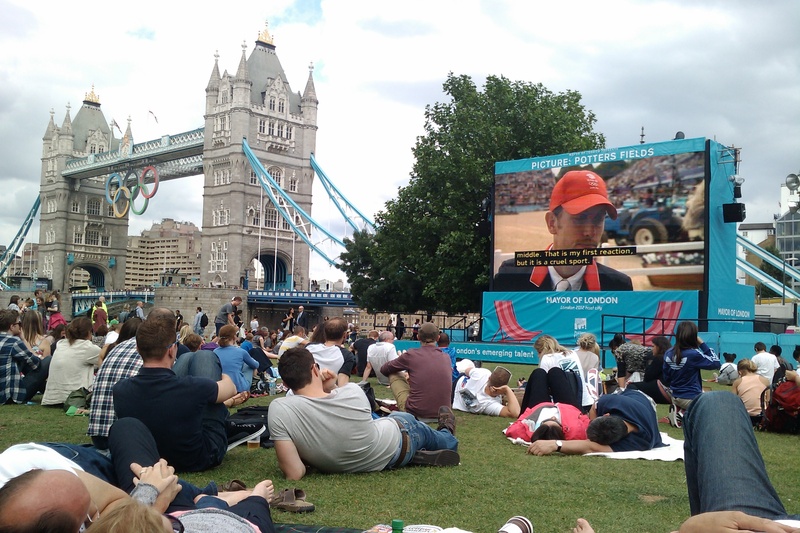 Olympics by the Thames … what more could you ask for? Not a dry eye in the house for the past two weeks. We have seen Olympics in the streets, Olympics in the stadium, Olympics on the big screen, Olympics on the telly. 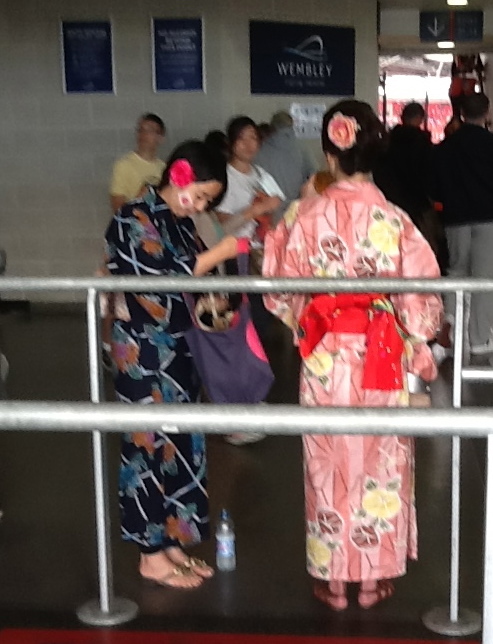 What we didn’t expect as Londoners was to feel so involved, so close to it all. When I say stadium, I am talking Wembley not Olympic. Wembley is a beautiful stadium in its own right, and the two women’s football matches we had the pleasure of witnessing made it even more special. 60,000 for the semi-final (Japan vs France) and 80,000 for the final (USA vs Japan). On the route up to the stadium, I overheard a spectator remarking on the atmosphere . “Oh yes”, her companion replied, “by now things would usually be feeling really hostile”. Sport in Britain should always be like this – exciting, inclusive and fun. Grumpy shed a tear after our national hero, Mo Farah’s second victory last night. Like the rest of the country, he was on his feet sweeping the air in a vain, but symbolic, effort to hasten the wind under Mo’s feet as he sped down the home straight. Some of our non-GB affiliated friends have been more sceptical about this new found patriotic fervour that has, seemingly, the nation in its grip. Too much GB. Not enough internationale. But at least some of the heroes we are applauding do mark a difference from those of the past. Not all of them are the upper-class, white, male ex-public schoolboy, amateur gentlemen types of old. Ok, some of them still are. But then there are people like Nicola Adams, the first ever female winner of a gold medal in boxing. Smashing!